Let's play with stripes. Particularly black and white stripes because they stand out. They make a statement that no other color or pattern can. 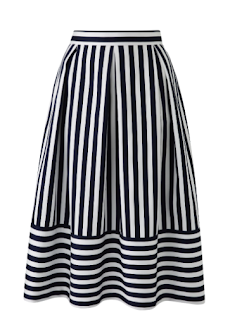 People tend to fear horizontal stripes because it exaggerates width, but I'm here to tell you that in monochrome in the right cut and fit, it accentuates every awesome part about you*. Well this is quite the number. 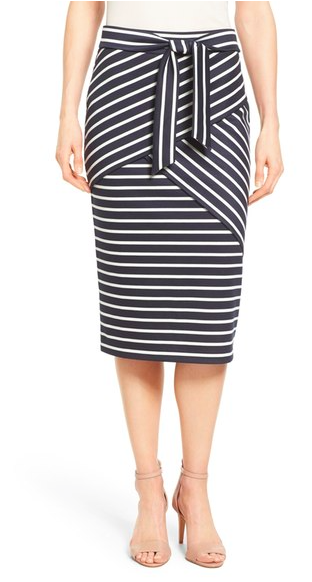 Wear this skirt when asking for a raise and work it. These stripes have a beautiful fall to them. It creates a very subtle chevron side. Check out this waistband. It's going to nip in in just the right place to make you look incredible. 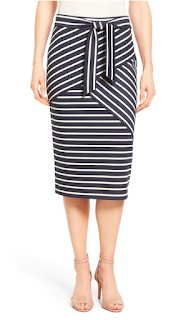 Like I said earlier, let it hug your curves and if you don't have curves, this skirt loves you too. 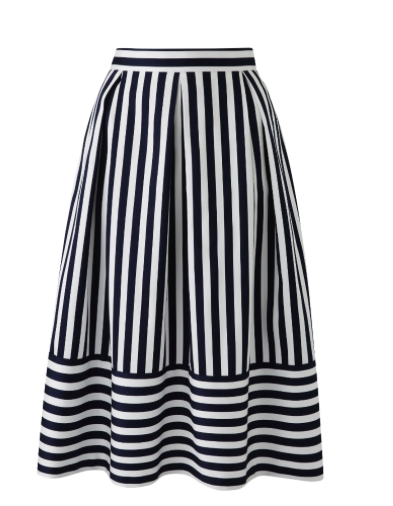 The way the stripes contrast in direction will create the perfect illusion. Embrace the stripes. Thick, thin, horizontal, chevon, just have fun with it! *that's all of the parts, you are 100% awesome.